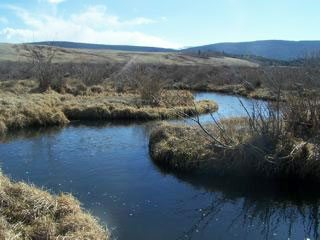 Description: Located 2.5 miles southwest of Fairplay, CO, this section of Fourmile Creek contains two stream miles of a creek dotted with beaver ponds. It offers fast action for a large population of wild browns and an occasional rainbow. Location: The property is located 1.3 miles south of Fairplay and 2.1 miles west of the junction of Hwy. 285 and CR 18. Capacity: Limited to 3 anglers, or four if all in one group.